We’ve all been there: You’re talking with your website developer, everything is going smoothly, and then they bust out a term like “301 redirect” or “CSS.” Record. Scratch. 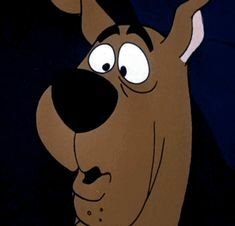 After a split-second Scooby Face, you smile and nod. The conversation ends and you think, What the heck did they just say?! Chances are if you Google it, you get a lot of tech-speak that may as well be the teacher’s voice from Charlie Brown. Fear not: We’ve put together some of the most commonly-used words, acronyms, and phrases that come up in working with a developer along with our definitions for them. Human definitions. Here is the Whole Whale developer glossary: 47 key terms to know when working on a website project. Error message when what was requested cannot be found; often because the link that was requested is either broken or dead. “Application Program Interface.” How computers and applications communicate with one another. Also known as an app, these are programs designed to perform functions. This includes mobile apps. Information about elements of a component in your website design/build. All of the behind-the-scenes digital operations that it takes to keep the front end of a website running, such as the coding, style, and plugins. If the front end of your website is what the audience sees onstage, the back end encompasses the stagehands, makeup artists, costumers, tech crew, stage managers, etc. simultaneously running the show from backstage. The program you use to access the Web — such as Chrome, Firefox, or Safari. When you experience an issue with a website, it’s best to send the browser type and version you’re using to your developer as oftentimes these issues are browser specific. You can figure this out easily thanks to WhatsMyBrowser.org. An error or flaw in the website or app that keeps it from running as expected. In CSS, an identifier for specifying exactly what you what to target with styling. In other programming languages, classes are a bit more broadly used as the blueprint for creating something — similar to using the blueprint of an existing car to create a new type of car. “Content Management System.” The program that you use to create and maintain your website’s content. These are usually designed for non-developers for ease-of-use. Our personal favorite at Whole Whale is WordPress. The source of all that is good, chocolatey, and sugary in the world… Kidding. (Sort of.) This is the data sent by an Internet server to a browser. Each time the browser accesses the same server, it sends the data back as a means of tracking how (and how often) it accesses the server. This is why your home computer always knows your Netflix login. When search engines send bots to your website in order to gather intel on pages that exist and don’t exist in order to determine what content should be displayed or removed on search engines. “Customer Relationship Management.” In website development this refers to the software and applications used to gather, analyze, and maintain information on customers, donors, and prospects. “Cascading Style Sheet.” Code that tells browsers how to display a webpage for the end user. This programming formats fonts, colors, and other visual elements. When redeveloping a website, editing these elements in the mockup/GUI phase is much easier than changing in CSS. “Call to Action.” The buttons on your website that drive certain conversions or goals such as donations, newsletter signups, or user registrations. “Development Operations.” System of working that helps to keep development, IT operations, and quality assurance departments on the same page to make for better end-products and collaborations. The address for a website as entered into the browser (ours is www.wholewhale.com!). If your server is the land your website is built on and the hosting is its house, the domain is its mailing address. If you build it, they will come: The most basic of the building blocks for data collection. These are the storage units that your website visitors use to enter their names, email addresses, notes, etc. If you’re asking for first name, last name, email address, city, and zip code across five different entry boxes, that’s five fields. System to protect a secure network from an unsecure network (i.e., the rest of the Internet). Suite of programs used in website or software development. This lays the groundwork for the type of programming language used for your site or app development. The part of the website or app that the user sees. If the back end of your website is everything behind-the-scenes, this is what happens onstage. “File Transfer Protocol.” Method of exchanging files from one computer to another. This is also how websites are uploaded to the Internet. “Graphical User Interface.” The image of how a website is laid out and meant to be interacted with. In website design, this is how everything will ideally look in layout (your mileage may vary when you move into development given the number of different browsers and versions). “Hypertext Markup Language.” The coding language used to build a website in terms of both form and function. Additional information on web pages or elements, such as the way a piece of content should display in Google search results, the photo credit for an image, or the main keywords associated with a plugin. This is huge for SEO. We recommend the Yoast plugin on WordPress for adding all of the necessary meta information to set up your site for SEO success. Links on a homepage that break down the other pages of a website. This can be both in the menu at the top of a site or in a footer (preferably both). “Out of the Box.” Also known as “Off the Shelf.” These are the ready-made, plug-and-play options for features and functions that you can download and install without the need to customize or configure. Instead of making the brownies from scratch, you’re using the mix (either way, it’s still tasty). Angle brackets (< >) that bookend an HTML element to help build the structure of a webpage. Closing tags include a forward slash (</>). For example, if we were going to italicize part of this sentence, we would open with <i> and close with </i>. The layout for a webpage — pages that have similar structures share the same template (such as event detail pages for a variety of events on the same website). Pages that are radically different use separate templates. Modules or software that can be added (“plugged in”) to a system for added functionality or features. Characteristics that are dictated by CSS such as color schemes and fonts. Automatic forwards from one URL to another — usually from an old website URL to the same page on a new website (these are called 301 Redirects). Other redirects may pivot between two domains (e.g., idealist.com redirects to idealist.org), a shortened URL to the full URL (e.g., bit.ly URLs), and geotargeted URLs. Company used to register domains (e.g., GoDaddy, Hover, Network Solutions). Essentially how large an image or graphic can be rendered on a display. Oftentimes developers talk about the resolution of photos as photos at a low resolution won’t display as well if they need to be sized for the full width of a desktop screen. Resolutions are measured in pixels (e.g., the resolution of a MacBook Air screen is 1440 x 900 pixels). Websites that accommodate the screen on which they’re being viewed. This became a huge trend in website design when browsing on mobile and tablet devices became more popular, which has led many developers to opt for a “mobile-first” approach — optimizing a website design for phone and tablet use first and then making sure it looks good on a laptop/desktop. “Software As A Service.” The most basic of cloud platforms; allows users to share files and collaborate on projects through their browser. Some SAAS platforms include Google Drive and Dropbox. Other cloud options are Platform as a Service (PAAS; Facebook, Twitter, etc.) and Infrastructure as a Service (IAAS; Amazon Web Services, Microsoft Azure). Computers running software that allows users to access your website — this is what houses the hosting. If your domain is the website’s mailing address and the hosting is its house, the server is the land it’s built on. Outline of all pages on a website, organized in hierarchical order — much like the outlines you used to use for your college term papers. Carousel of images usually featured on the homepage of a site that rotate, highlighting different photos, links, and content. An amazing song by ABBA that factors into at least one Whaler’s work playlist. Yes, this is a joke, but if you’ve made it this far down the page and through so many acronyms already, you deserve a little ABBA. “User Interface.” The visual elements that go into a website or app. This is the form to UX’s function. “User Experience.” A user’s interaction with an interface with a focus on how satisfying and successful the experience is. The function to complement UI’s form. Applications that allow for specific interactive functions to be performed on a website. The bare bones structure of a website. No fonts, colors, or images, this layout is the first step to making sure that the foundation is sound before content is added. “What You See is What You Get.” A visual content editor within CMS that allows you to modify content in your website without needing to know HTML. If you’ve ever made text in your website bold just by highlighting and clicking “Bold,” you were using WYSIWYG.